The new Fashion, Art, Design, and Photography bookstore ABOOKADABRA* opening in Oslo in 2010 will for a limited time in December be found as a shop-in-shop at the Henrik Vibskov Boutique in Tollbugata 15, Oslo. 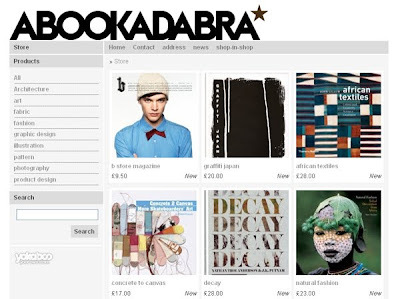 You will find a small taste of the books ABOOKADABRA got to offer on design, fashion, photography and more. Perfect christmasgifts at affordable prices.